Jewel-Osco is a large supermarket chain with headquarters in Itasca, Illinois. Jewel retained a commercial design firm to work on enhancing the interior of one of their stores located at 1224 S. Wabash in Chicago's South Loop hear Solider Field. We worked with the design firm to select the images and the firm printed, framed and mounted the prints. 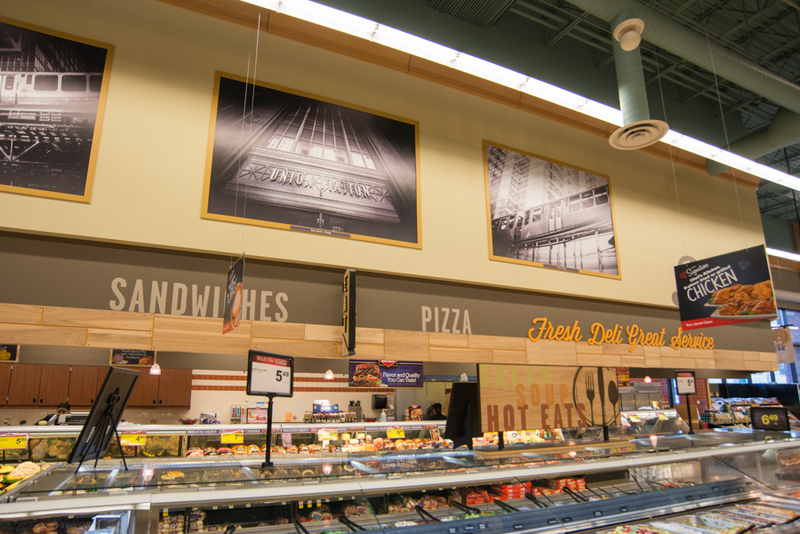 Ten very large 5x7 foot prints decorate the walls throughout the store. The high resolution images used to create the prints are from my Chicago Black and White Collection. 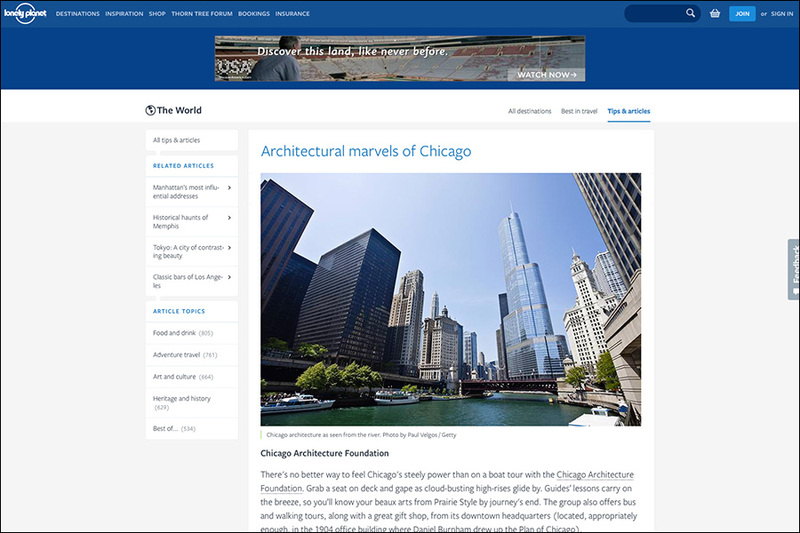 The Chicago Tribune is one of Chicago's oldest and most popular newspaper and media companies. The Chicago Tribune was founded in 1847 and printed its first edition on June 10, 1847. The Chicago Tribune is owned by the Tribune Publishing Company which also owns the Los Angeles Times, The Orlando Sentinel, and other popular media companies. 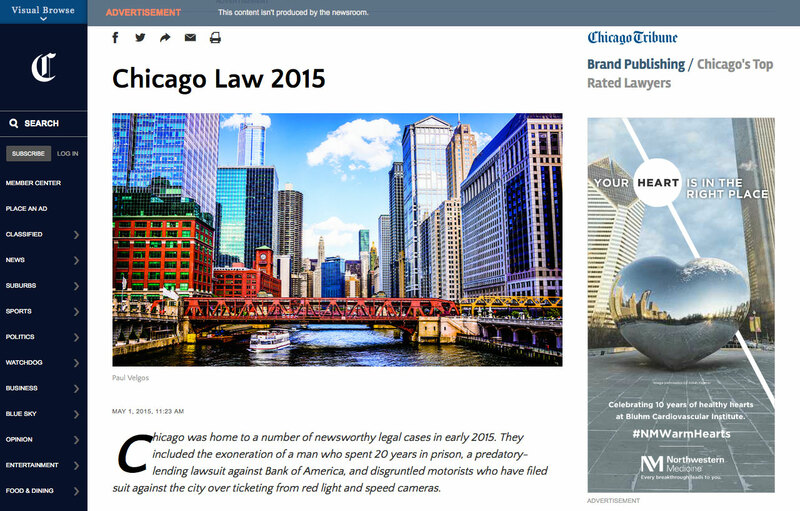 The Chicago Tribune licensed one of my Chicago River skyline photos for the Chicago Law 2015 section of their website. Travel Channel is the world's leading travel media brand and is available in nearly 92 million US cable homes. Travel Channel is owned by Scripps Networks Interactive (NYSE: SNI), which also owns and operates HGTV, DIY Network, Food Network, Cooking Channel and Great American Country. 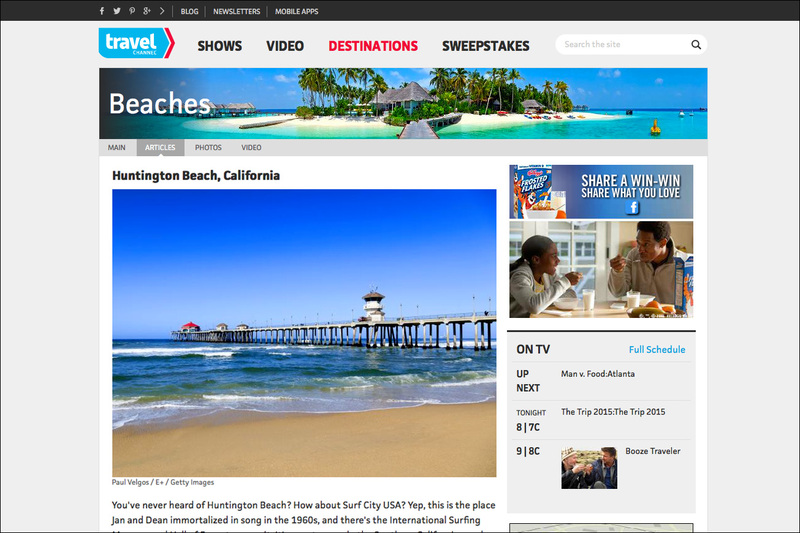 Travel Channel licensed a Huntington Beach, California pier image for their website for an article titled "Best Budget Beaches". Lonely Planet is the world’s most successful travel publisher printing over 120 million books in eleven different languages. Lonely Planet has offices in the Australia, UK, USA, India and China with over 400 employees and 200 authors. Lonely Planet licensed one of my Chicago River cityscape photos for an article titled "Architectural Marvels of Chicago". Marriott International, Inc. is an 85 year old hospitality company based in Bethesda, Maryland, USA with over 3,900 properties and $13 billion dollars in annual revenue. 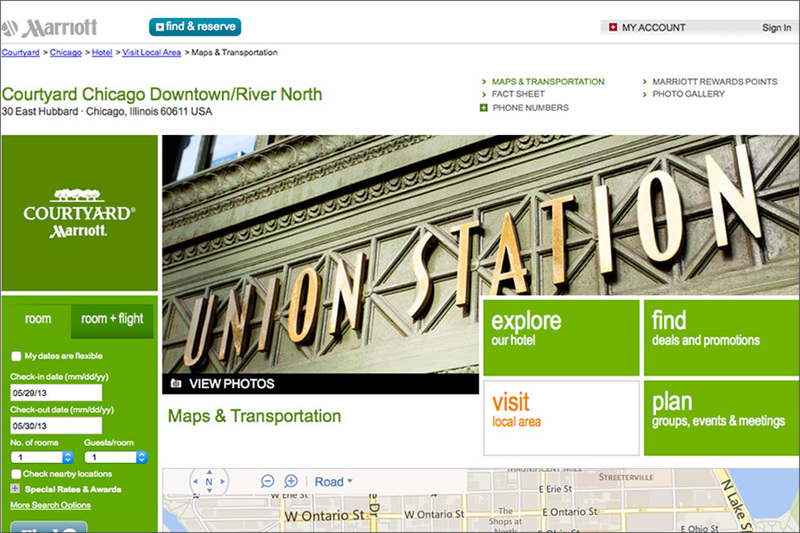 Marriott licensed a Chicago Union Station image for their Courtyard Chicago Downtown River North location website. Motorola is an 80 year old telecommunications business based in the Chicago area with over 80,000 employees and $10 billion in revenue. 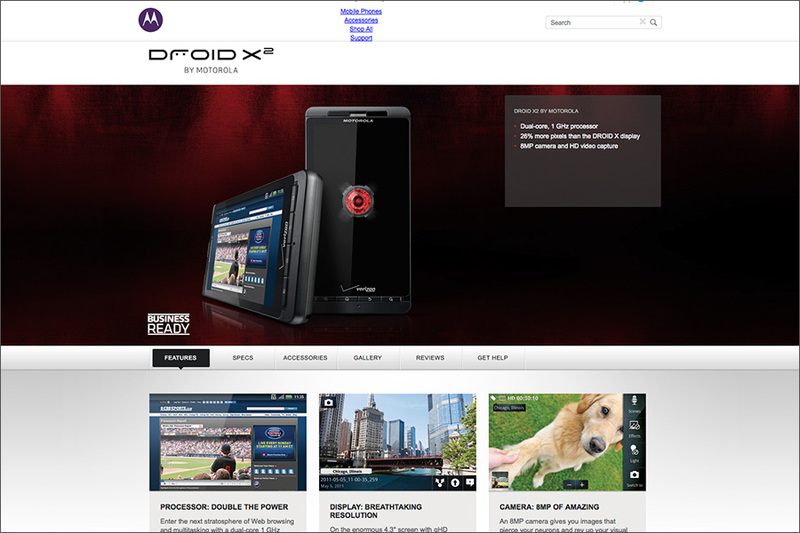 Motorola licensed a Chicago image (bottom middle) to use on their website for their Droid X2 mobile phone. AARP is a non-profit organization based in Washington D.C. with over 26 million members. 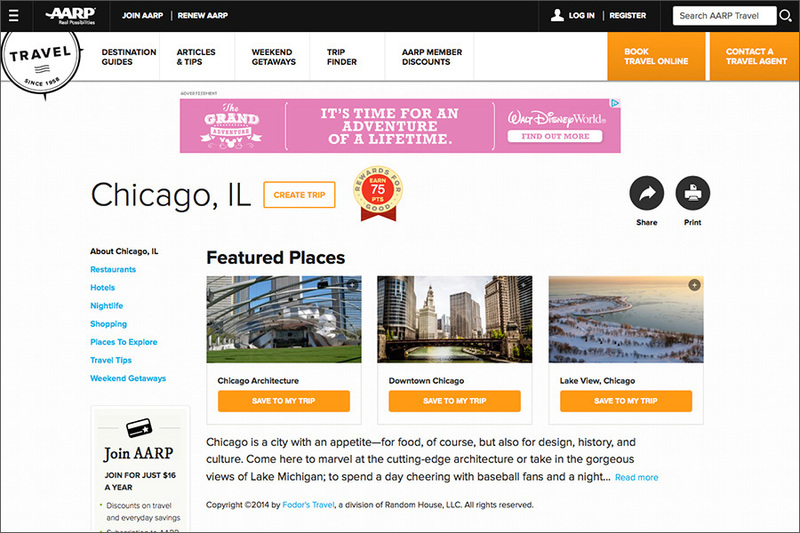 AARP licensed two of my photos for their website in the "Featured Places" area for Chicago and San Diego. On the Chicago page the image is "Downtown Chicago" in the middle. 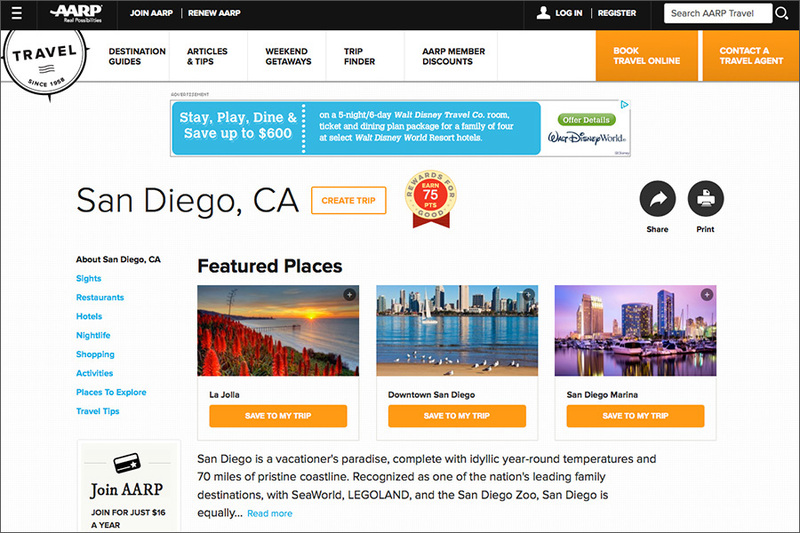 On the San Diego page the image is "San Diego Marina" on the right. 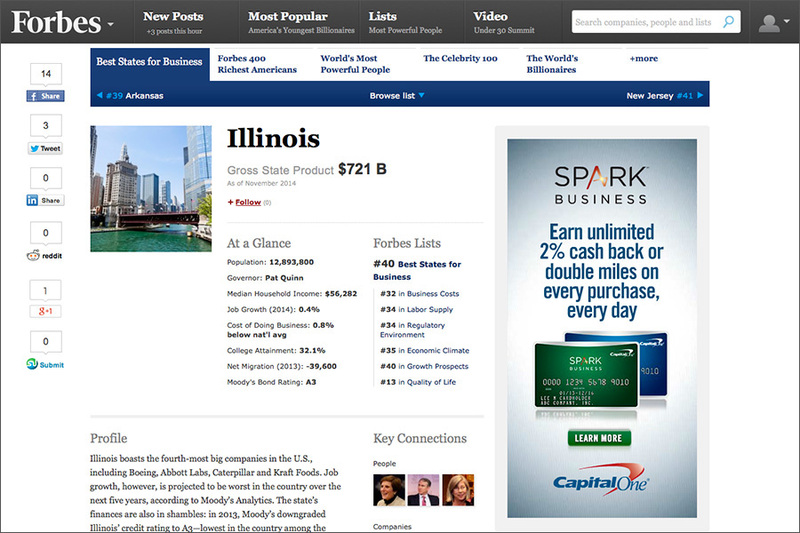 Chicago Magazine is popular magazine and website published by the Chicago Tribune Media Group. 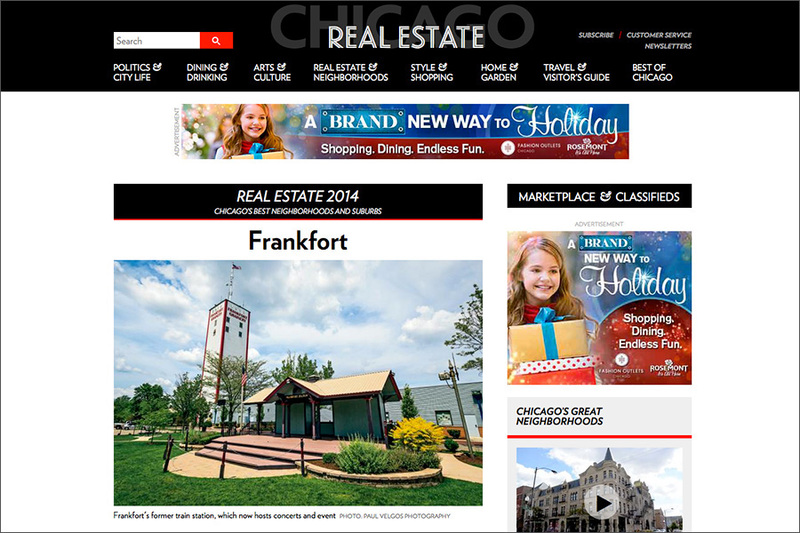 Chicago Magazine licensed one of my Frankfort Illinois images for an article named "Chicago’s Best Neighborhoods and Suburbs". PetSmart is a large retailer of pet products and services based in Phoenix, Arizona, USA with over 53,000 employees and 1,300 stores. 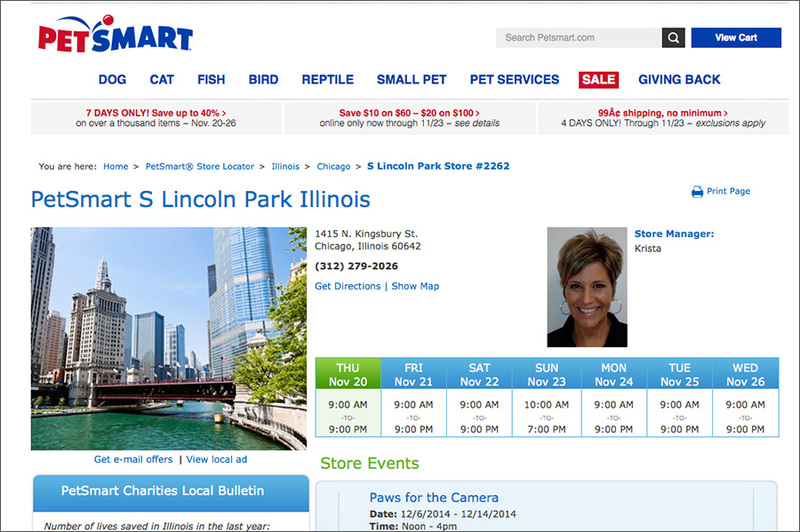 PetSmart licensed a Chicago image for their Lincoln Park store website. 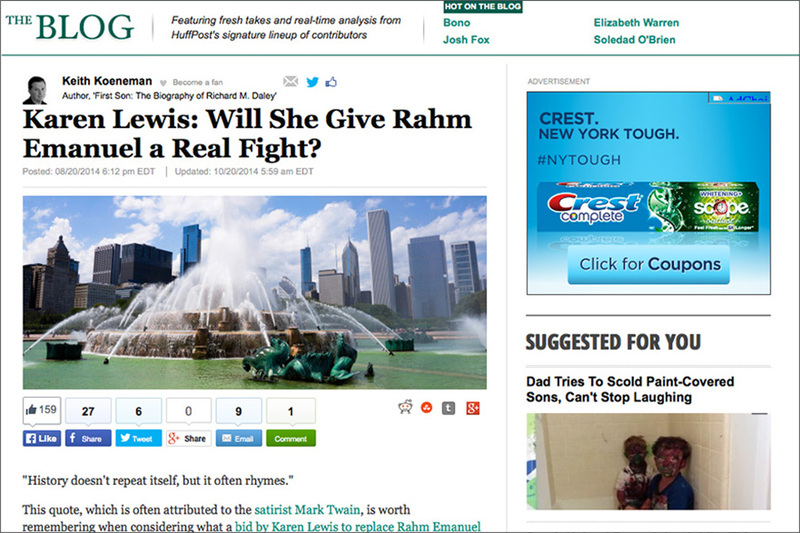 Huffington Post is a popular news website and blog based in New York, New York, USA and is owned by AOL, Inc. Huffington Post licensed a Chicago Buckingham Fountain image for blog post about the Chicago mayoral race. Forbes is a leading business news magazine and website company based in New York, New York, USA. Forbes licensed a Chicago image for an article named Best States for Business. 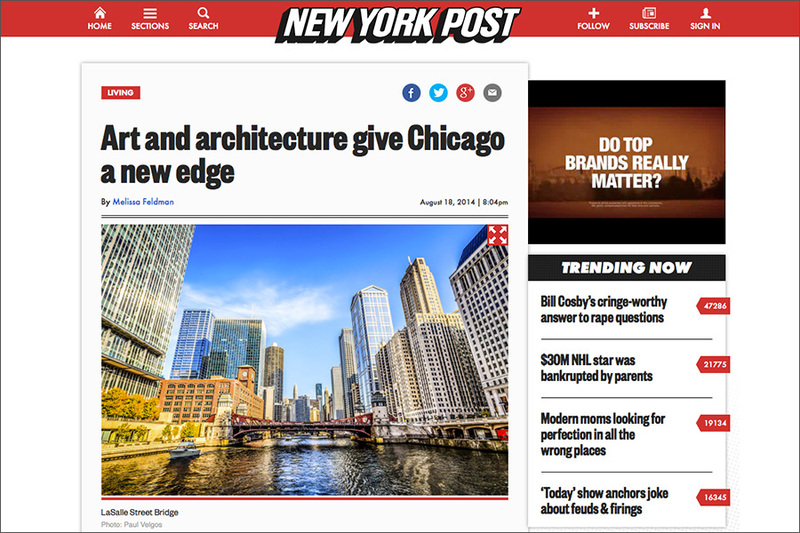 New York Post is a news company owned by News Corp in New York, New York, USA, New York Post licensed a Chicago image for an article about Chicago architecture.